Considering furniture for all areas of your home is a big task. It’s worth taking some extra time when thinking about your dining room furniture though. Be sure to consider your dining pieces, as this will play a large part in setting the mood for your living space! 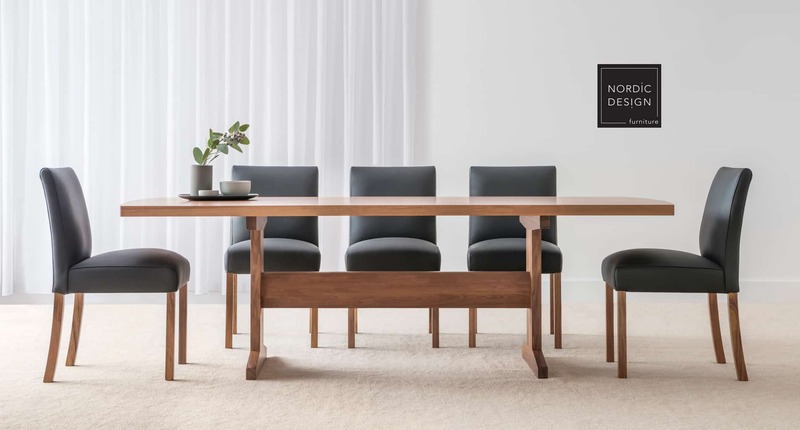 Your lifestyle will impact the decisions you make when choosing your dining furniture, but Nordic Design are sure to provide you with exactly the style you desire! Specialising in timber dining tables and custom dining chairs, why not create dining room furniture that’s specifically for you. 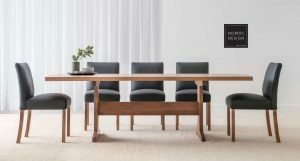 We pride ourselves on providing our customers with all kinds of unique furniture pieces (especially when it comes to dining furniture). In particular, if you’re looking for extension dining tables in Adelaide, be sure to visit our Stepney showroom to see our selection. Being local for added convenience, you can come in and speak to us any time. And why not see some of our designs while you’re in store? We have extensive knowledge in extension dining tables. Plus we continually have new examples come through our showroom for you to browse. No matter the shape you desire, we can customise your design to create extension dining tables that function exactly how you want! Remember, your dining room furniture will be used daily for all kinds of purposes! Whether it be a place to share meals, complete homework or gather with friends – your furniture should be custom made to suit every circumstance. For dining tables and dining chairs, Nordic Design has it all. Existing styles, plus new custom pieces are constantly being displayed in our showroom, so come in and have a look! Not only do we specialise in custom made dining tables – and dining chairs – but we use only the best hardwood timbers. This is what makes our dining furniture stand out from the crowd. It’s made with quality products, by our quality craftspeople – right here in Adelaide, just down the road from our showroom. While we can tell you all about our custom made dining tables and dining chairs, there’s nothing quite like the real thing… Phone us, or visit our showroom to see a large range of what we offer. Experience our quality first hand, and we can assist you in creating your new dining room furniture.